Patient Survey: Is your patient receiving quality care? How do you make sure your healtcare facility thrives in the years to come? The answer is encapsulated in two words: client satisfaction. At the end of the day, you will have to be dealing with how your clients get benefited from the levels of service you provide. When they’re not satisfied, you can be sure they’re going to talk about it and you wouldn’t like what they will say. So how do you find out your client’s reaction to your service? The answer is in two words again: patient survey. In order for you to get your actual patient’s feedback, you have to get it straight from the horse’s mouth. But gathering their feedback is not just about asking what they think. It has to be professionally performed and evaluated so that the credibility of your claims can be trusted. In this way, other clients who will look for reasons to get your service will know they’re getting it right. At the end of the day, it’s the quality of your care that will remain in the hearts and memories of your patients. If you want to know for sure if your patients are satisfied with your service, you have to ask them the right questions. A survey is a professional tool that will involve the gathering of statistical data so that the results will have scientific significance. This means that the survey results can give credence on how reliable your service really is. Conducting a survey is a very technical procedure that it needs a special set of skills, license, and training. But these technicalities will not be a burden to you when you tap the help of our Home Care Consultants. We will give you a rundown of the technical process of drafting the questions, identifying client needs, and even in conducting the survey itself. Once the answers are collected, we will also collate and compute the results so that you can see the overall response of your clients. The results of the patient survey will mean the future of your business. If you’re serving with quality, it will show in the results. If not, you can anticipate for a downturn. But a negative perspective is not necessarily a disadvantage. 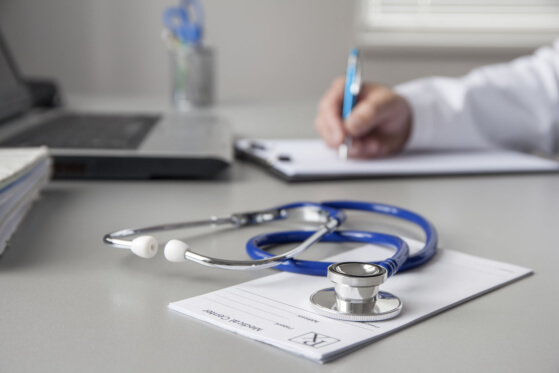 As a provider of Healthcare Accreditation Consulting in New Jersey, we can also help you craft ideal solutions so that you will resolve the negative perception and make it work for your business benefit. Don’t compromise the quality of your healthcare service. You don’t just need it for business. Your clients also deserve this level of quality. Set an appointment with our Home Care Accreditation Consultant today. This entry was posted in Client Satisfaction and tagged Healthcare Accreditation Consulting, Home Care Consultants, Patient’s Feedback, Quality Care. Bookmark the permalink.